All the case studies and the insight and knowledge gained through the PovFish project are presented in a book which was launched at the MARE conference in Amsterdam, July 2011. This book provides a global perspective, situating small-scale fisheries within the broad academic discourse on poverty, fisheries management and development. In-depth case studies from fifteen countries in Latin America, Europe, South and Southeast Asia, and sub-Saharan Africa, demonstrate the enormously complex ecological, economic, social, cultural and political contexts of this sector. Conclusions for policy-making, formulated as a joint statement by the authors, argue that fisheries development, poverty alleviation, and resource management must be integrated within a comprehensive governance approach that also looks beyond fisheries. Following in the footsteps of the book Fish for Life – Interactive Governance for Fisheries (Kooiman et al., 2005), and the interdisciplinary approach it presents, this volume illustrates the contribution of interactive governance theory to understanding core fisheries and aquaculture challenges. These challenges are invariably linked to broader concerns such as ecosystem health, social justice, sustainable livelihoods and food security. The central concept in this perspective is governability – the varied capacity to govern fisheries and aquaculture systems sustainably. Many of these systems are characterized by problems that are inherently 'wicked' and therefore difficult to address. The authors of this edited volume argue that responses to such problems must consider context; specifically the character of the fisheries and aquaculture systems themselves, their institutional conditions, and the internal and external interactions that affect them. Drawing on a diverse set of international experiences, the volume offers a new lens and systematic approach to analysing the nature of governance problems and opportunities in fisheries and aquaculture, exploring pressing challenges and identifying potential solutions. The importance of fisheries is not lost in the global policy arena. What is often overlooked in the general discourse, however, is the significant difference between small- and large-scale fisheries. 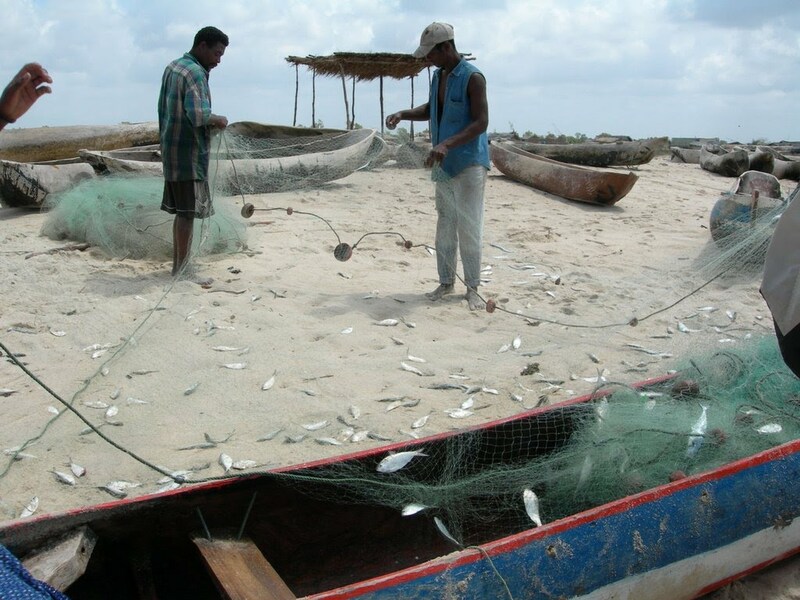 Major rethinking about all aspects of small-scale fisheries is required, including their contribution to catches, employment, livelihood, food security and conservation. This book is a collection of essays about the diverse, complex and dynamic contexts that characterize small-scale fisheries around the world. The essays highlight the strengths, capacity, motivation and contributions associated with this fishing sector. They remind us that solutions and opportunities for the viability and sustainability of small-scale fisheries can be found, once the issues are understood from a holistic perspective and possible options, including inventive governance arrangements, are fully explored. The authors are scientists and practitioners who work in small-scale fisheries in various parts of the world, many of whom participated at the first World Small-Scale Fisheries Congress (WSFC), held in Bangkok in October 2010, and are members of the global research network for the future of small-scale fisheries, Too Big To Ignore. The editor, Ratana Chuenpagdee, the initiator of the WSFC, is Canada Research Chair in Natural Resource Sustainability and Community Development at Memorial University of Newfoundland, Canada. This project aims to map out the effects that environmental insecurity and degradation has on poverty and food security and vice versa. We question how poverty can be alleviated while also maintaining a healthy eco-system and we will study how fishers in poor communities cope individually and collectively with maintaining sustainable livelihoods through periods of resource crisis. A particular focus will be on the institutions that exist at various levels and a particular focus will be on those that enable collective action. Especially we will investigate their capacity for poverty alleviation, resource stewardship, and empowerment of the poor. Although our main locus will be in the south where poverty in small-scale fisheries are most widespread, the management challenge is general and there are also relevant lessons from crises-ridden communities in the north. In this project we question how poverty can be alleviated through ecosystem-based management of natural resources. Alleviating poverty sometimes requires strategies which are inherently in conflict. This is particularly the case in economies based on natural resources. As one seeks to reduce poverty, one risks aggravating it. For instance, in fisheries and coastal communities poverty is commonly related to overuse and resource degradation of natural resources. Poverty is both the cause and effect of unsustainable fisheries and coastal economies. Poor fishing people have no other available alternative than to continue their environmental destruction. For fisheries and coastal management, this involves a dilemma: As one aims to develop a fishery, one may undermine its very basis. Fisheries development and management must therefore go hand in hand. Poverty alleviation must occur within safe ecological limits, i.e. be sustainable. Otherwise poverty will be sustained if not amplified. PovFish was financed by the Research Council of Norway and organised by a multidisciplinary research group at MaReMa Centre, the Norwegian College of Fishery Science, University of Tromsø. List of allocated grants in the PovPeace programme. The following is a project proposal for which we are seeking collaborators. It is a project which is designed to look at tourism in relation to small-scale fisheries, and is being organized through Too Big to Ignore (TBTI), a new global research network and knowledge mobilization partnership to promote and revitalize small-scale fisheries (SSF) around the world . The working title of this project is PovFish TOUR as a follow-up to the PovFish project. The PovFish book will be published by Springer Verlag in 2011 and includes case studies from 15 different countries. The book is divided into four parts. The first part presents the theoretical fundament of the studies, while the following three sections presents the case studies. The case studies of Bangladesh, Tanzania, Poland, Ghana and India (marked with red colour in the map above) provide a broad understanding of the interrelation between poverty and fisheries. The case studies of Mexico, Turkey, Malawi, Nicaragua and Thailand (blue colour) present coping strategies and the final case studies of Vietnam, South Africa, Sri Lanka, Mozambique and Guatemala (green colour) contribute by pointing at the possibilities of change from poverty to wealth creation. As a part of the Tanzanian case study Paul Onyango made a film describing people, activities and concern in the fishing village he is referring to in chapter 6 in the PovFish book.